Episode 37 – 2010 in review and thoughts on 2011 with Joe Stanhope | Beyond Web Analytics! In this episode the Beyond Web Analytics team talks with Joe Stanhope, of Forrester Research, about the events of 2010. The conversation covers mergers, events, and inovations throughout 2010, and then moves to hopes and dreams for the measure industry for 2011. Joe Stanhope is a Senior Analyst with Forrester Research Joe serves Customer Intelligence professionals. 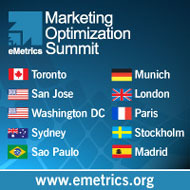 He is a leading expert on Web analytics, online testing and targeting, and Web site optimization technologies. His research focuses on the generation and application of marketing intelligence from interactive channels to deliver highly relevant and engaging online and multichannel customer experiences. Note: The sound clips used in this podcast were used under license. This article was posted in News, Podcasts, Web Analytics. Bookmark the permalink. Follow comments with the RSS feed for this post.Post a Comment or leave a trackback: Trackback URL. Enjoyed the show guys. Question – Gary mentioned companies making advances in analytics data warehousing and rattled off a few vendor names – aster, quantivo and something that sounded like netteaser(??). What was that third name? Searched for near-spellings but wasn’t finding anything. By the way, I reached out and started a conversation with Quantivo based on your previous broadcast. However they have decided to focus specifically on retailers (which I’m not), so am looking for a similar type of vendor – any thoughts? Great show, very worthwhile, very enjoyable. A leader in the web analytics and digital media recruitment marketplace, IQ Workforce provides access to some of the most sought-after full-time and contract talent in the corporate world. If you need help finding serious web analytics talent or want to take your career to the next level, call IQ Workforce! The thoughts and views expressed on Beyond Web Analytics by the hosts and guests are their personal views and do not necessarily reflect those of their current or past employers. © 2019 Beyond Web Analytics!. All Rights Reserved. Proudly Built with StartupWP and WordPress.